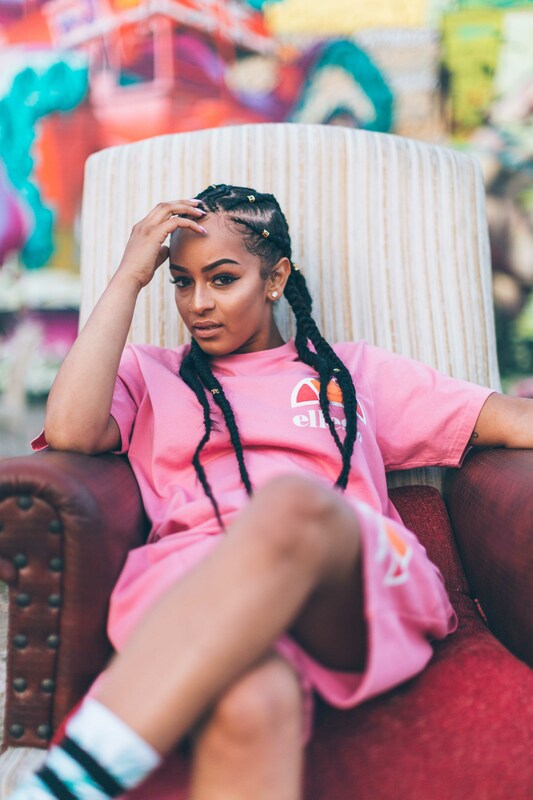 Paigey Cakey: "I literally try new things every week." 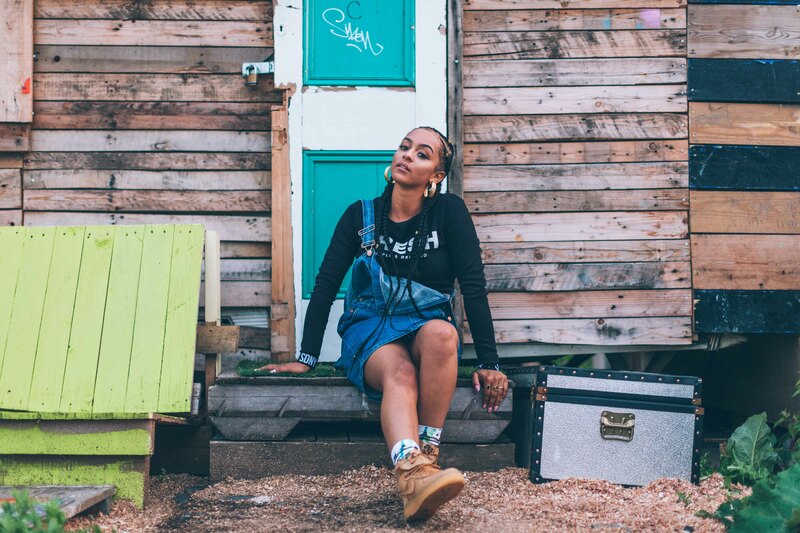 Opening Up with Paigey Cakey: "I literally try new things every week." 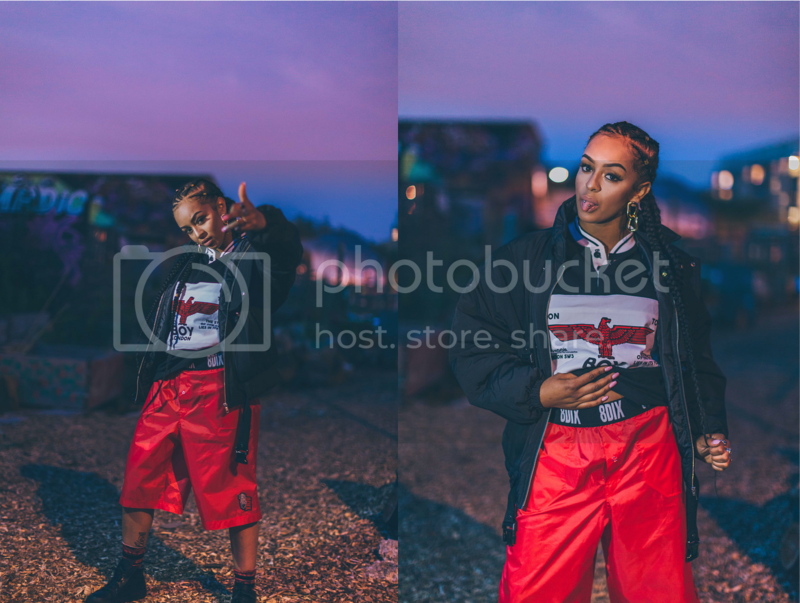 We caught up with Paigey Cakey to talk inspirations, risks, and most importantly - her relationship with Netflix. 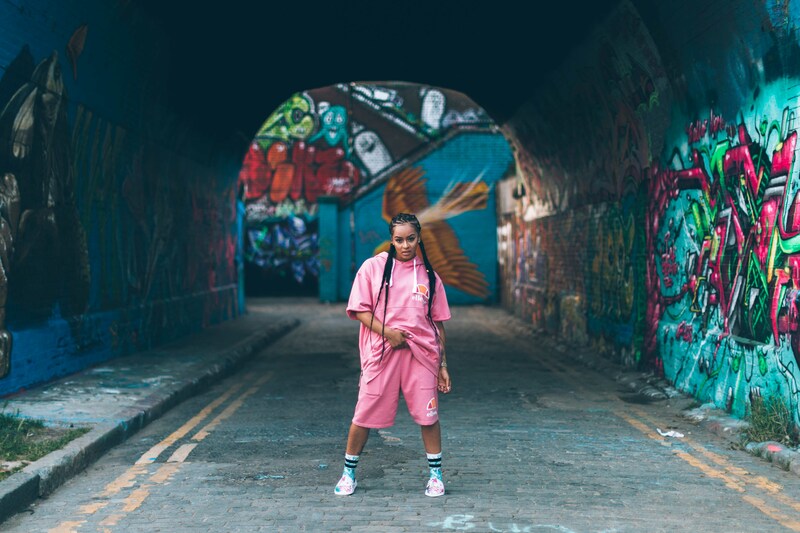 Hailing from Hackney, East London, is the incredible actress/rapper Paigey Cakey. At just 23 years old, she's already starred in an impressive number of TV series and films, and has been conquering her place on the music scene since 2012. She's now prepping the release of her new mixtape Red Velvet, which is due out in August, so we caught up with her to talk inspirations, risks, and most importantly - her relationship with Netflix. 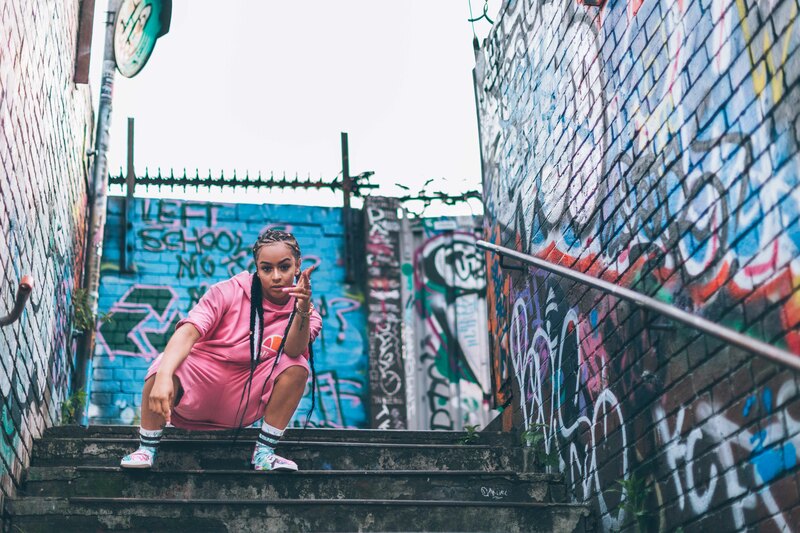 I go by the name of Paigey Cakey, I'm a rapper and actress from Hackney, East London. I've starred in the hit movie Attack The Block, BBC1's drama Waterloo Road, BBC1's series The Secret and a few other films. I first came on the music scene in 2012 where I built a buzz from my YouTube videos. Since then I have collaborated with the likes of Lady Leshurr, Stormzy, Yungen, Chip, and many more. I grew up around a lot of music. My parents would listen to a lot of Reggae, Garage, Jungle & Hip-Hop. As I got older I started to gain an interest in Rap and Grime. My favourite artists were Ms Dynamite, Missy Elliott, and So Solid Crew. I began writing raps at the age of 11 with friends and also called myself 'Hype Dynamite' as I was such a fan of 'Ms Dynamite'. There's so many things in life I would do if I knew I couldn't fail. I literally try new things every week. It could be something so little like listening to a new artist or tasting new food. Last weekend I tried a chicken nugget baguette which would strangely really nice. I'm currently working on my new mixtape titled Red Velvet. It will be out in August. I've just released my first song 'Boogie' from the mixtape. I'm not sure what the most challenging thing I've ever created is. I think people overlook my singing talent. I reckon if I put more music out where I'm singing, I wouldn't have this problem. If I had one year to live I would take out a massive loan and take all my friends and family around the world with me. I would visit every country and try every food. I would jump out a plane, ride an elephant, feed a lion cub, ski. I would do take part in every single activity there is to do. Surprisingly everything I've watched on Netflix has been good, I'm yet to click a bad episode/film. 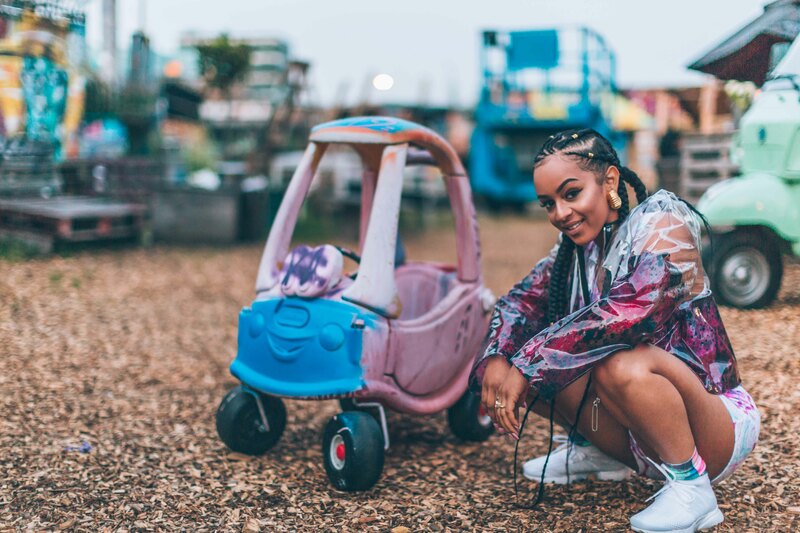 Paigey Cakey's new track, 'Boogie', is out now. Check out the video below. Clothing credits: Raincoat - Kitty Joseph Two piece shorts - Hype Socks - Stance Footwear - Nike trainers Bomber jacket - BOY London Tee - BOY London Red shorts - 8DIX Socks - Stance Footwear - Garment Project Two piece - Ellesse Socks - stance Footwear - Slydes Crop top - Supply & Demand Dungarees dress - Sewn PR Socks - stance Footwear - Nike airforce ones.